A small study from Ontario Canada, has indicated that the ban on menthol cigarettes had already encouraged twice as many smokers to quit than predicted, just after a month of being implemented. A month after the ban was implemented 29% had attempted to quit, in contrast to the 14.5% who had claimed that they would. The study which was published last week in the journal Jama Internal Medicine involved interviews with 325 menthol cigarette smokers before and after the ban which went into effect on the 1st of January, 2017. By February 1st, 29% had attempted to quit, in contrast to the 14.5% who had claimed they would. “We would actually expect the impact of this study to be even greater in the U.S. given the higher use and regularity of (menthol cigarette) use,” said lead author Michael Chaiton of the Ontario Tobacco Research Unit and the Dalla Lana School of Public Health at the University of Toronto said in an email. In line with this study, research from Yale School of Public Health and the Centre for Health Policy at the Imperial College in London, had also indicated that if menthol flavoured cigarettes alone were to be banned in the US, there would be a 4.8% reduction in smoking rates, as most smokers would either switch to e-cigarettes, or quit. If menthol cigarettes were to be banned in the US, there would be a 4.8% reduction in smoking rates, as most smokers would either switch to e-cigarettes, or quit. This study which was published last September, was carried out by analyzing the tobacco related behaviour of 2,000 adult smokers and recent quitters. “Our results are timely and policy-relevant, suggesting which flavor bans are likely to be most effective in protecting public health,” said the researchers. 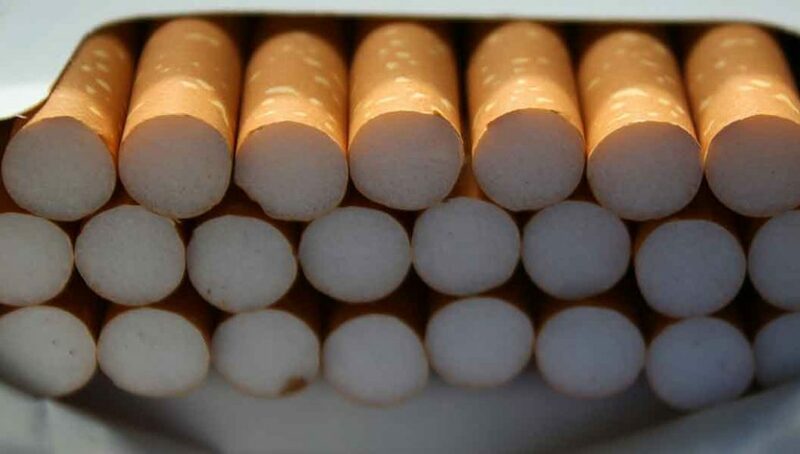 Interestingly besides a reduction in smoking as a result of flavoured cigarettes bans, the compiled data had also indicated that if flavours had to be banned in e-cigarettes and allowed in regular cigarettes, vaping devices and ejuices would decline by over 10%, and many former smokers would go back to smoking regular cigarettes, hence cancer and mortality rates would increase. Menthol in cigarettes is known to have a cooling effect when inhaled, hence decreases airway irritation in the lungs, which is thought to make it easier for menthol smokers to inhale deeper and longer. Some research also indicates that menthol may enhance the absorption of nicotine, hence increases the addictive factor of cigarettes.